Questionable Outfit took a commanding 3-0 lead in the best-of-seven championship series with Cookies & Cream behind four hits and three homers from Bob and a commanding shutout by Miller on the mound. 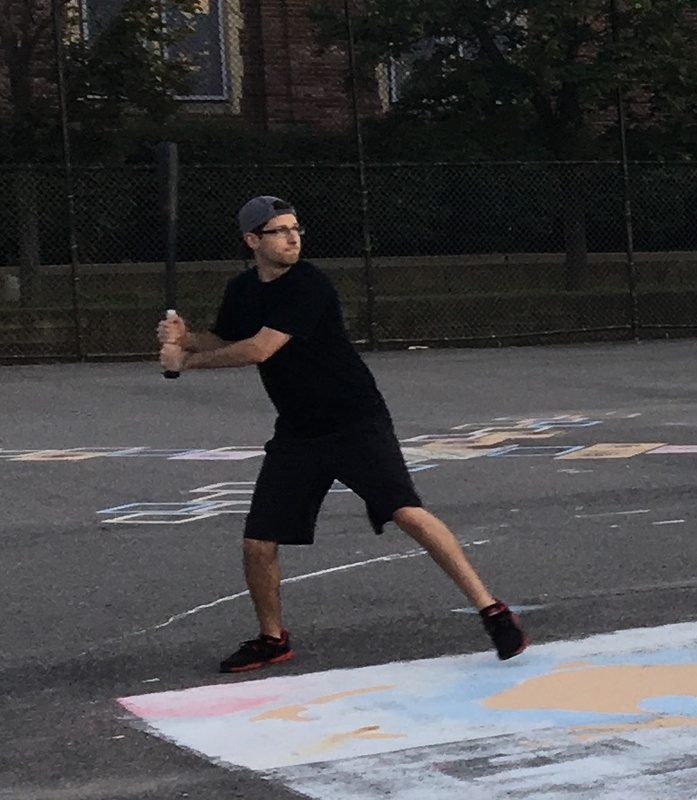 The 10-0 win put Questionable Outfit only one victory away from clinching their third consecutive title, and Cookies & Cream would have to win four straight games to knock Questionable off the throne. 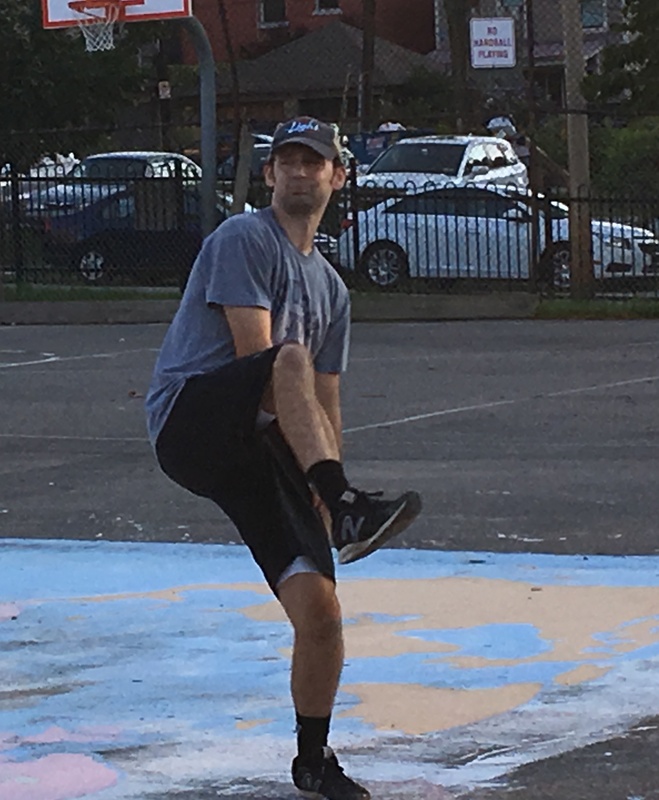 Joey had pitched well for Cookies & Cream in game two, allowing only three runs against the potent Questionable offense, but Bob outdueled him, allowing only one run. Cookies put Joey back on the mound to start game two. Things didn’t start as well. Bob continued to have a great series, leading off the game with a solo homer to center, and Questionable Outfit led 1-0. Two batters later Mike would hit a one-out single, but Joey minimized the damage, retiring Miller to strand the runner and end the inning having only allowed a single run. Questionable Outfit started Miller on the mound after a solid performance in game one that resulted in a Questionable Outfit victory. He was effective, but not as sharp as usual in game one, and it looked as if he would struggle in game three. Guthrie led off with a double, and he moved to third on a Blose single. Cookies had runners on the corners with no outs and were threatening, but Miller buckled down, retiring Joey and Jordan, who both popped out to the mound. He stranded both runners, ended the inning, and maintained the one-run Questionable lead. Joey cruised through the top of the second, retiring the side in order. Guthrie led off the bottom of the second with a single, but Cookies couldn’t tie the game, as Miller send Blose and Joey down to strand the runner and end the inning. Joey continued to roll through the top of the third, sending Mike and Miller down consecutively, and he had only allowed two hits through three innings. 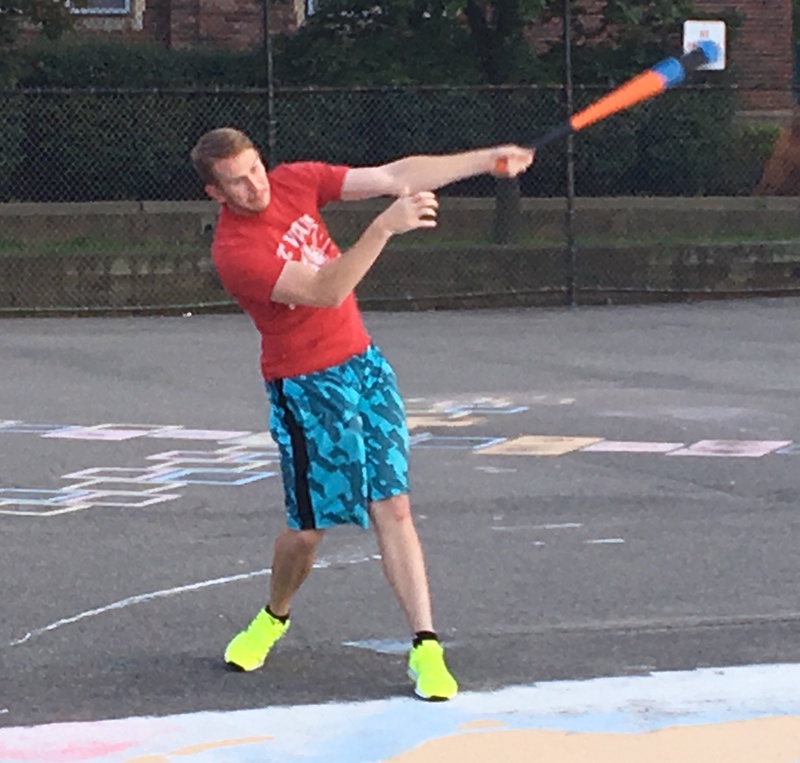 Cookies couldn’t muster any run support, however, as Miller retired Jordan and Guthrie in order in the bottom of the third, and the score remained 1-0. After pitching effectively for the first half of the game, the wheels fell off for Joey in the top of the fourth. 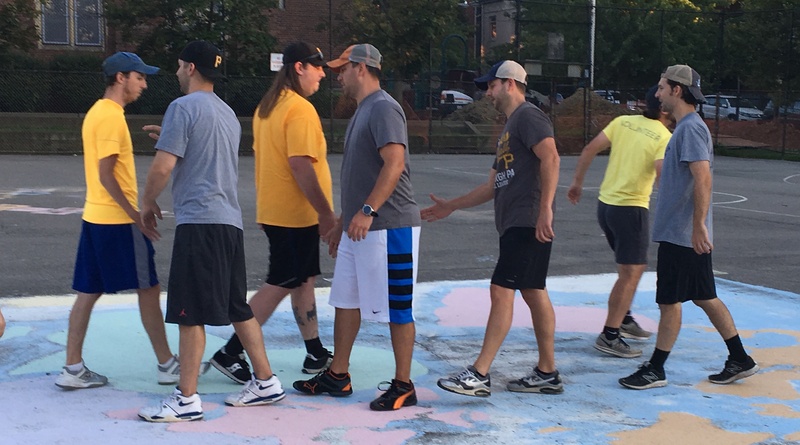 After retiring Bob, Questionable went on a run and extended their lead. 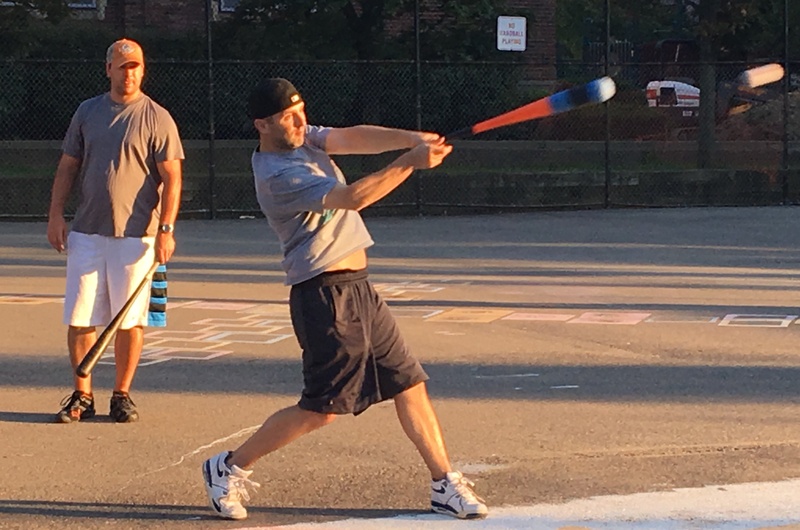 Tom slapped a solo shot to left to make the score 2-0, and Mike followed with a solo homer, putting Questionable ahead 3-0. Miller then hit a towering home run to left, over the tree, and the back-to-back-to-back homers gave Questionable Outfit a 4-0 lead. Joey was removed from the mound after 3.5 innings, and Guthrie took his place from the bullpen. The first batter he faced, Bob, hit a solo homer to right, and each Questionable Outfit player had homered in the inning. Tom followed with his second home run of the inning, and Questionable Outfit had homered in five consecutive at-bats. Mike broke the streak with a double, and Guthrie retired the next batter, Miller, to finally end the inning. Questionable Outfit had unleashed a barrage of power, and they led by six runs. Blose led off the bottom of the fourth with a double, but he was caught trying to extend the hit into a triple, and Miller had one out. He then retired Joey for the second out, and the score remained 6-0. Bob started the top of the fifth with his third homer of the game, a solo shot to right-center that put Questionable Outfit ahead 7-0. Guthrie retired the next two batters, Tom and Mike, and Cookies trailed by six. Miller catches a fly ball at the mound. He confused Cookies & Cream hitters throughout the game. Miller retired the side in order in the bottom of the fifth, sending Jordan and Guthrie down, and Questionable Outfit were an inning away from victory. Up six runs, Questionable added insurance runs in the top of the sixth, putting the game out of reach. 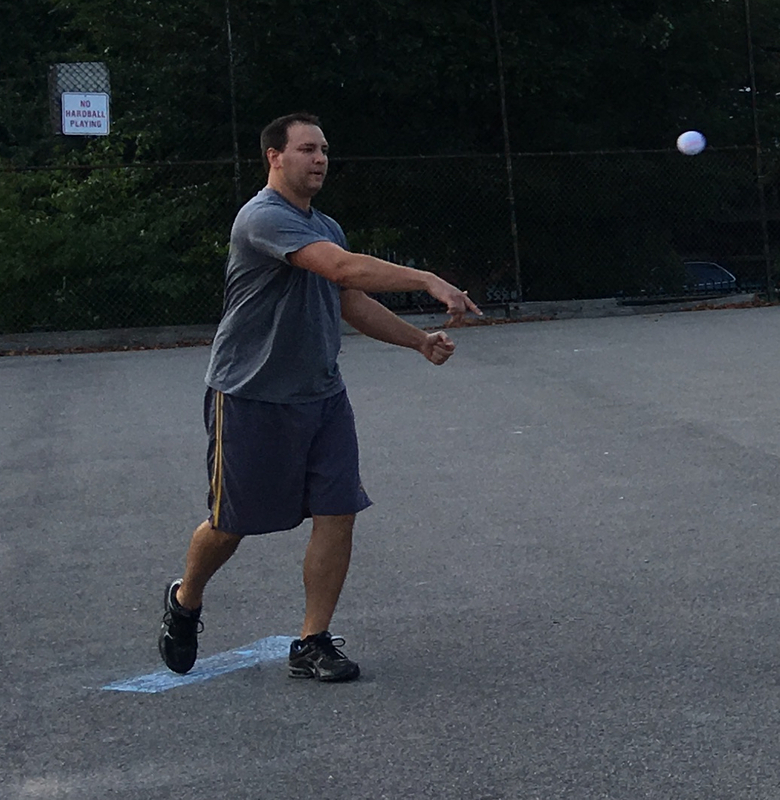 Bob doubled with one out, and he scored from second when Tom hit an RBI single. 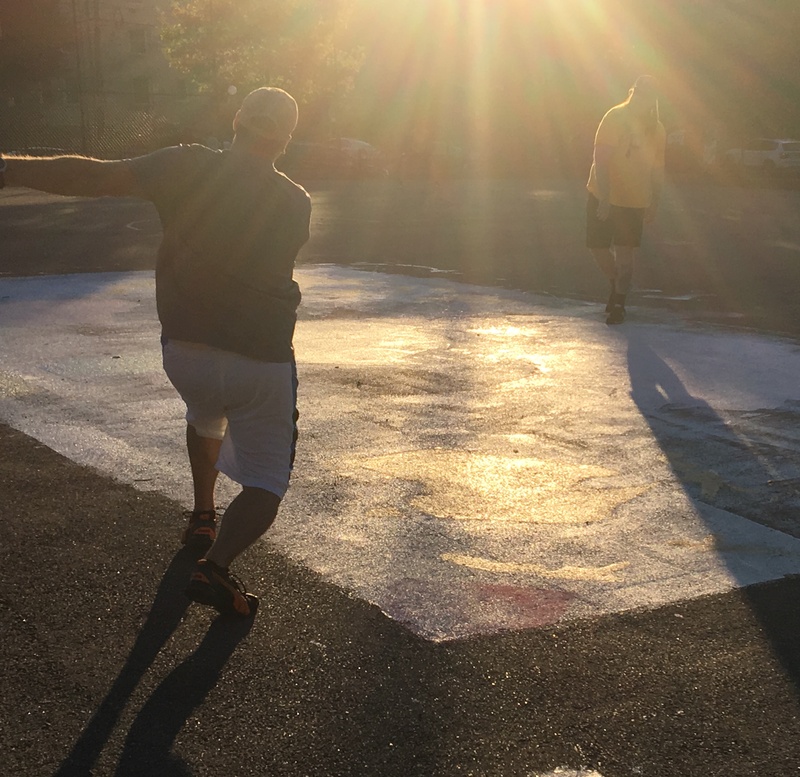 Mike then singled, and Tom raced around the bases to score from first, making the score 9-0. Miller followed with an RBI triple, scoring Mike, putting Questionable ahead 10-0. Guthrie finally escaped the inning by getting Bob to fly out to right, and Cookies & Cream faced a double-digit deficit heading into the bottom of the sixth. Blose led off the bottom of the final frame with a single, and he raced from first-to-third when Joey followed with a single. Cookies had runners on the corners with no outs, but Miller continued to show the ability to get out of jams. He got Jordan and Guthrie to each fly out to Mike in left, stranding both runners, and ending the inning and game. 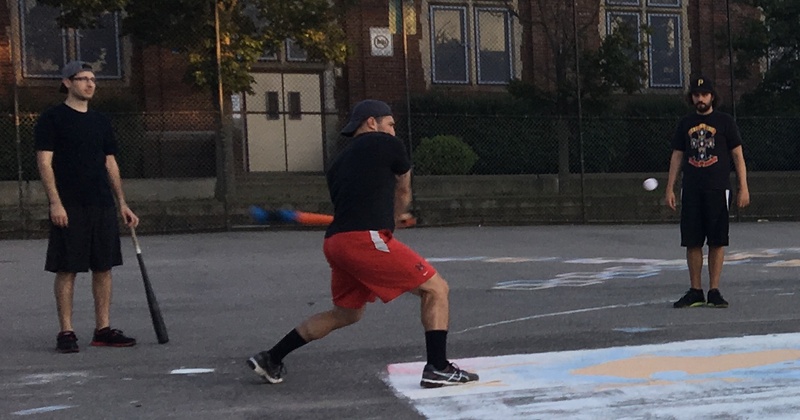 Miller’s complete game shutout put Questionable Outfit ahead 3-0 in the best-of-seven series, and Questionable Outfit would only need one more win to secure their third straight EWL Wiffle Series title. – Miller pitched the complete game win for Questionable Outfit, shutting out Cookies & Cream while allowing only six hits in six innings. 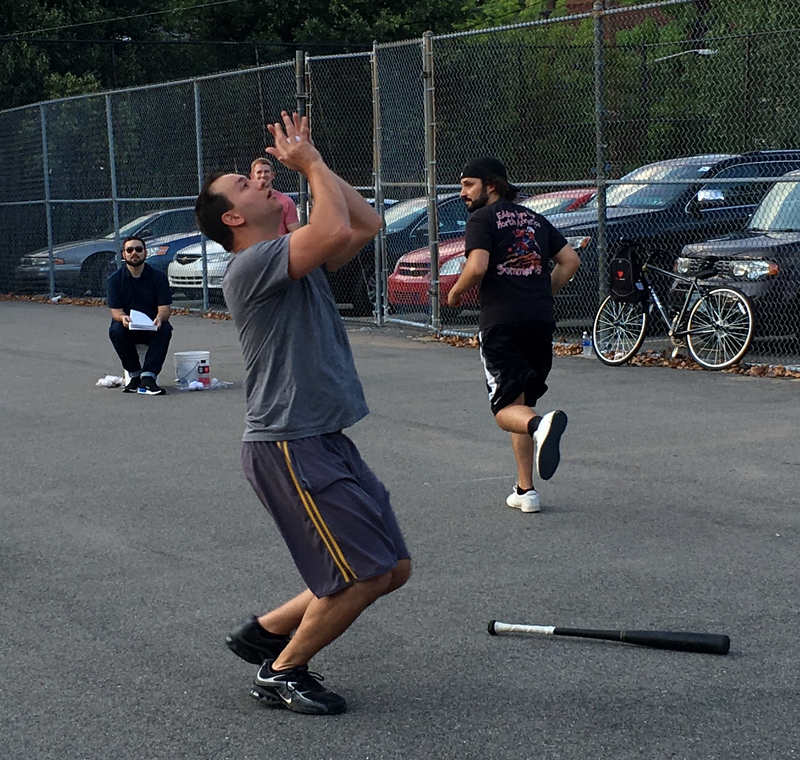 – Joey took the loss for Cookies & Cream, giving up four runs on five hits in 3.5 innings. – Guthrie pitched 2.5 innings of relief for Cookies & Cream, allowing six runs on eight hits. 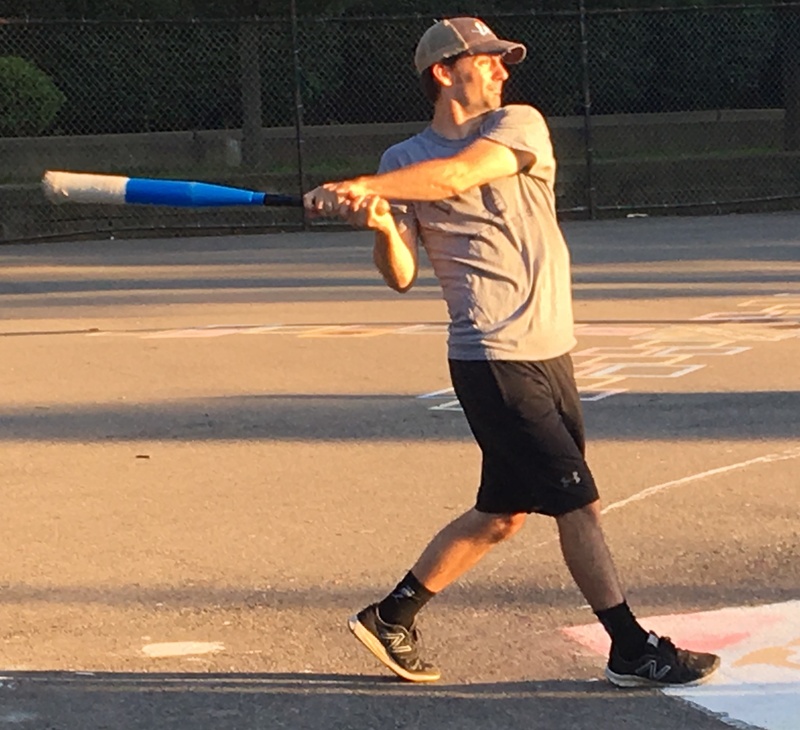 – Bob led Questionable Outfit on offense, going 4-for-7 with a double, three home runs, four runs scored, and three RBI. 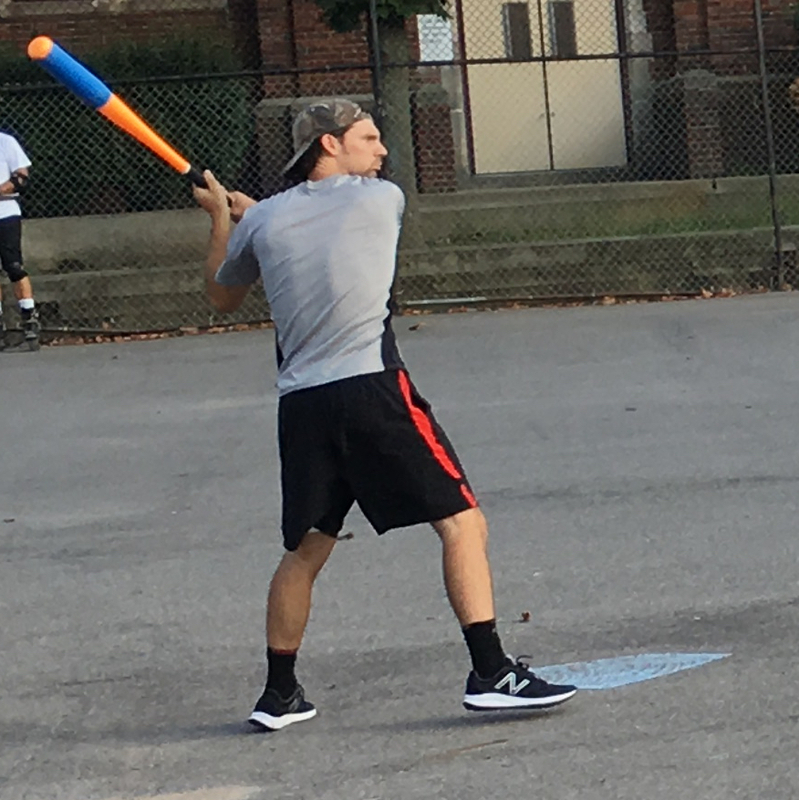 – Blose led Cookies & Cream at the plate, going 3-for-4 with two singles and a double.